Every day I am amazed at the accessibility that social media has facilitated with authors. Growing up I was an avid bookworm and I could have never imagined being able to correspond with the authors I love on a weekly basis. With social media, it is something that happens every day. I discovered Vicki Archer and her book French Essence on a trip to Paris while I was living in France. I ran across her beautiful book My French Life . I bought it and when I moved back to the U.S. it was one that came back with me and cherished. I am not sure how I discovered Vicki’s blog, French Essence, but it likely had something to do with the release of her book by the same name but as I am an avid reader and a faithful fan< I am just glad I did. 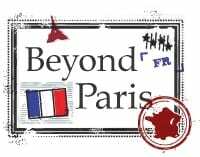 When I decided to bring back both A Passion for Paris and Beyond Paris series, the first person I asked to write for Beyond Paris, and I am so pleased she accepted! Below is Vicki’s submission. “What is it that is so alluring about France? Why do so many people attempt to grasp the life and in their way become just a little bit French? I have met artists and lawyers, Australians and Americans, traders and architects, South Africans and English who have each fallen under the spell and made a love of all things French their passion. My passion for French life endures. It started more than ten years ago and has held me captive ever since. When absent from France for any length of time I become conscious of the many varied elements I miss and how much I crave them. These elements are so fundamental to my life now that I think in some way they provide the answer to this fascination. I miss the largeness of the sky and the noise of the cicadas. I miss the dusty, dry heat of summer and the numbing cold of winter. I miss blowing cigarette curls of frost on a bitterly cold January morning and the blast of heat that shocks and envelops the body like a blanket in mid-August. I miss the smell of the freshly baked baguette and sitting down for lunch. Tearing the end off the still-warm breakfast loaf and munching it is a truly infectious French habit. Lunch is a daily togetherness; a companionable celebration of food and real eating pleasure. I miss the Provençal idea of time, the need for patience and local folklore. It becomes infectious, this slow, calculated order of decision-making. I miss wild thyme and rosemary perfuming the breeze and the sedation of heady lavender summers; the scents that seep in the upstairs windows at night are a recipe for sweet dreams. I miss the way the year is marked by the seasons – memories are triggered by what happened two winters ago, or by the eleven-day mistral last Easter. I miss the worn hues of the shutters and the faded advertisements that tattoo the older establishments. I miss the hilltop villages and their daily markets. The Roman ruins and their history are centuries of past life only moments away. I miss the beach clubs of the Mediterranean and the bouillabaisse of Marseille. Nowhere else will you find the shrug of the shoulder, the tilt of the head and the little puff of air that regularly escapes a Frenchman’s mouth, or the formality of good wishes that introduce every conversation. That sense of style that permeates everything from interiors to individuals and everywhere I look. The eccentricity of the films and the wackiness of the music that is so eclectic but also endearing. That extra bisou (kiss) hello in the south seems to say it all. 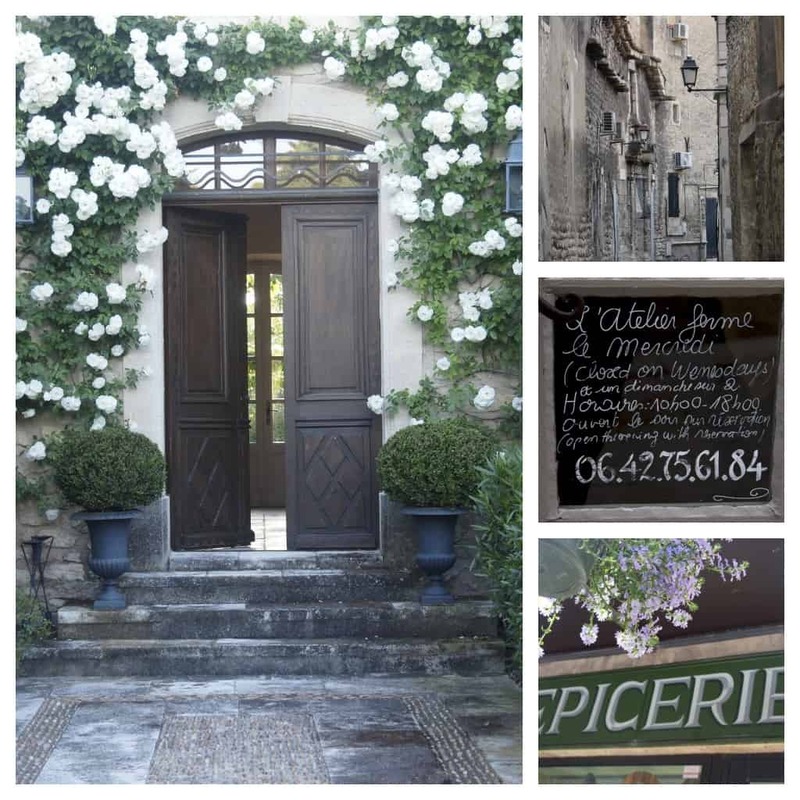 Welcome to Provence: larger-than-life greetings, larger-than-life landscapes and larger-than-life characters. I miss the architectural uniformity that is Paris; the broad avenues, the cobbled backstreets, the police sirens and the fanatic drivers are a familiar tableau. I miss Christmas decorations at the Place Vendôme, window-shopping around the Rue du Faubourg St-Honoré and the kilometres of fairy lights that wrap the Champs Élysées. The perfumeries and other speciality shops: the mustard shop, the violinmaker’s shop and the vintage shops are wonders in this day of homogenous marketing and designer dictation. I miss the soft crunch of gravel in the Jardin des Tuileries and the formation of sharp box hedges at the Hôtel des Invalides; the semicircle of female stone statues in the Jardin du Luxembourg and the show of tulips in the Palais Royal. I miss shadow lines that play on the Seine at dusk and the soft glow of old-style street lamps. I miss the language: the cadence and the delicate nuances of the vocabulary. It is impossible to overlook the waiters and their nonchalance, the bistros, the brasseries, the cafes and the daily specials on the blackboard: coloured cane chairs greeting the street and the guarantee of a table for as long as you want; relaxed coffee-drinking and people-watching is an addictive spectator sport. The penguin suits, the frilly aprons and the one-handed balancing act are Paris. 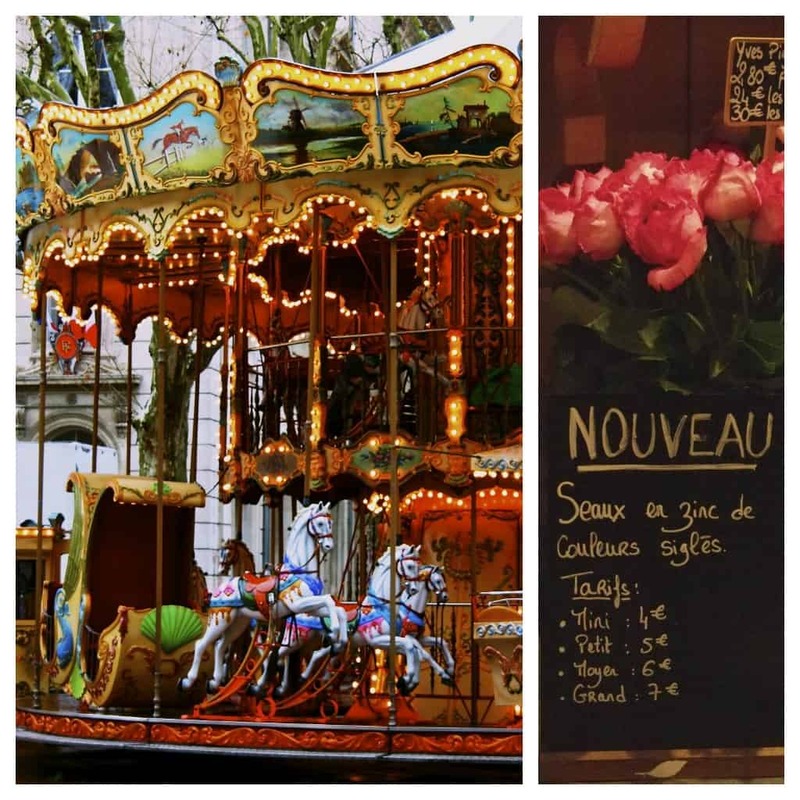 You can keep up with Vicki on her blog French Essence. I love Vicki’s book My French Life, which was my first inspiration to start combing French flea markets. Thanks to both of you for this evocative essay, the perfect accompaniment to my morning tea. I love the pictures as much as the words in this post. I get numb to all things French, but I would feel incomplete to leave. I guess the country has snuck up on me. A beautiful tribute to her adopted country. I loved reading this! In everything she missed, I felt like I was walking with her through those memories- hearing the gravel, seeing the battered briefcase. Exquisite descriptions. It’s awesome how you’re able to connect with these people and open them up to your blog. There is so much to love here, my friend! @Jen, Vicki’s books are beautiful, I am sure you’d like them. FYI – I learned this from you — making sure links open in new windows. Links to your blog do, but the links to the other sites do not. Maybe the problem with the setting is on my end? @Jen, I think the only ones that don’t open in a new window is the Amazon affiliate links because I forgot to do a target=blank on the link! What a truly lovely post. You’ve captured all that is most delicious about France and the French so beautifully. Thank you. This is a beautifully written blog! I want to go to France even more now! @Jamie, I hope you get there! @Dorothy, Vicki is amazing, I highly recommend her blog! I’m so impressed by her photography. And I love her books. I’ve marked vicki’s blog ‘French Essense’ as a keeper. I love seeing France thru others eyes. 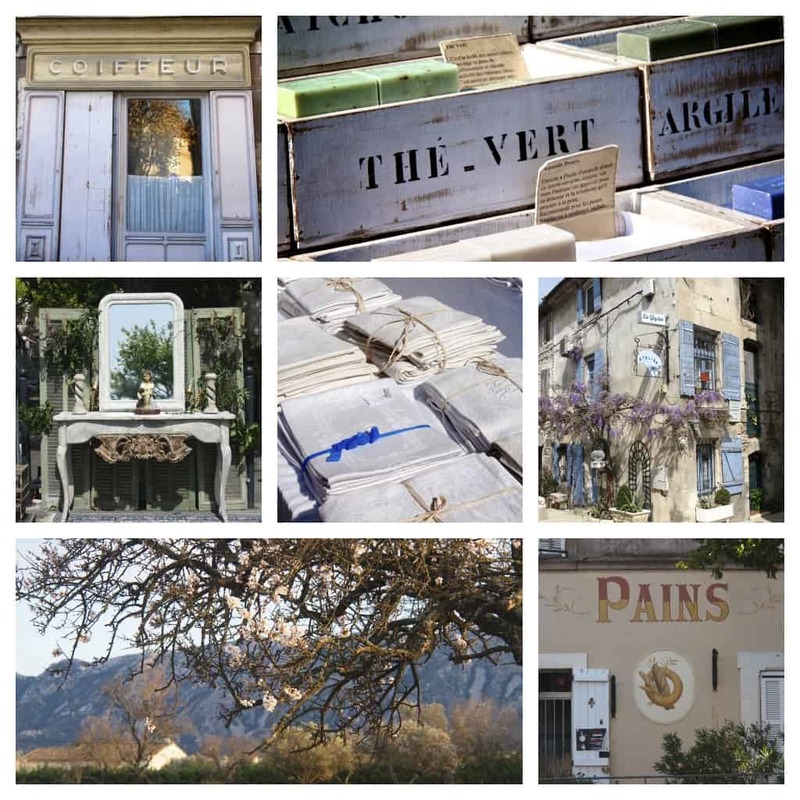 @Vicki, French Essence is such a great blog, I hope you enjoy it! I am definitely going to pick up that book, the descriptions are so vivid, it makes me almost feel like I were there. I would love to travel to France… someday, when my young ones are grown. Thank you for sharing your passion for such an amazing country! @Crystal, until such time, you can definitely live vicarious through Vicki in her book or her blog! very beautiful pictures!! France is already on my wishlist , would LOVE to visit it some day ! !